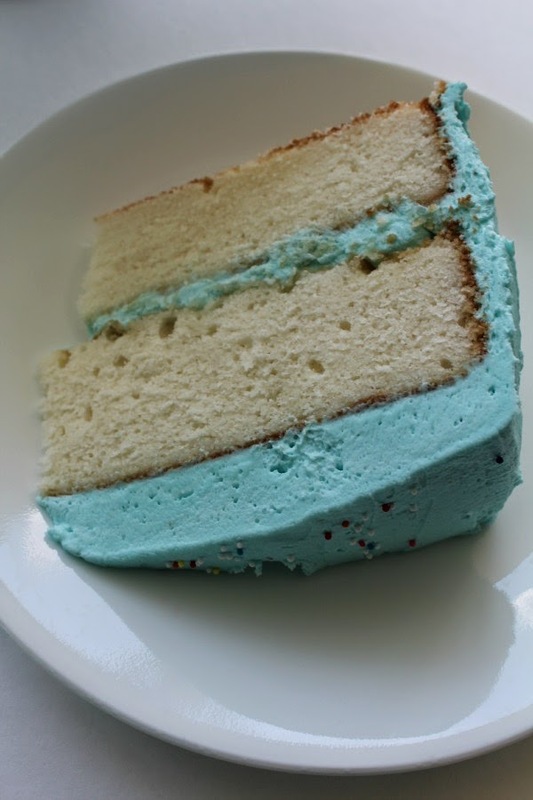 If you are looking for a white cake and frosting recipe this is it. 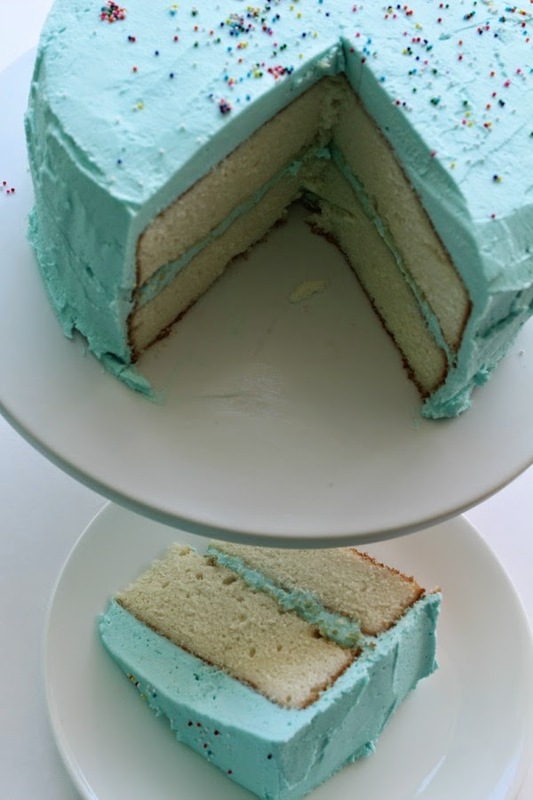 I searched forever to find the perfect white frosting recipe so I almost rejoiced when I discovered this recipe a couple years ago. After I first made this cake for Christmas dinner it became our mom's favorite cake so we made it for her birthday this year and I decided it deserved a repost to show you how pretty it could be with tiny sprinkles and some gel food coloring. Oh and just look at that thick layer for frosting! Oh no, that's a cake for me! Bahhh, I just had two dinners... this is making me hungry.. again! I've never seen a frosting recipe like that! 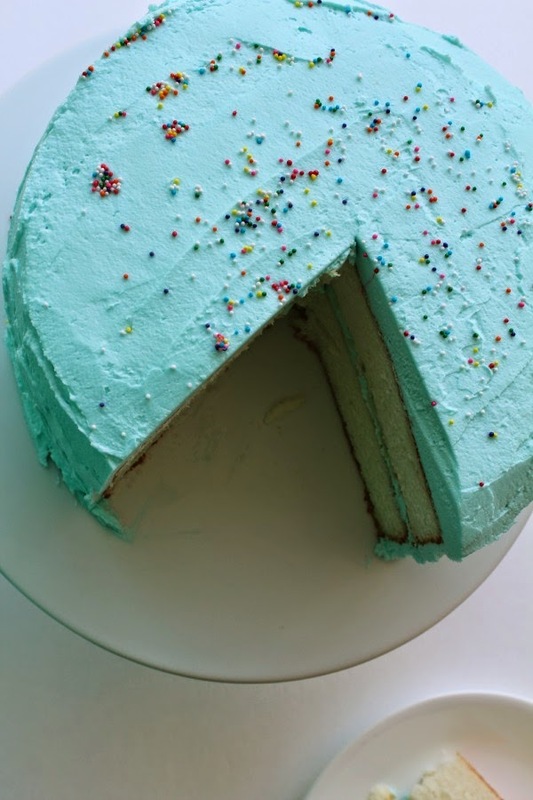 I kind of just want to make the frosting and eat it!